As part of the Smirnoff Experience, I was fortunate to become one of the few people from outside South A frica to have attended a Shangaan electro dance in the heart of the township Soweto. 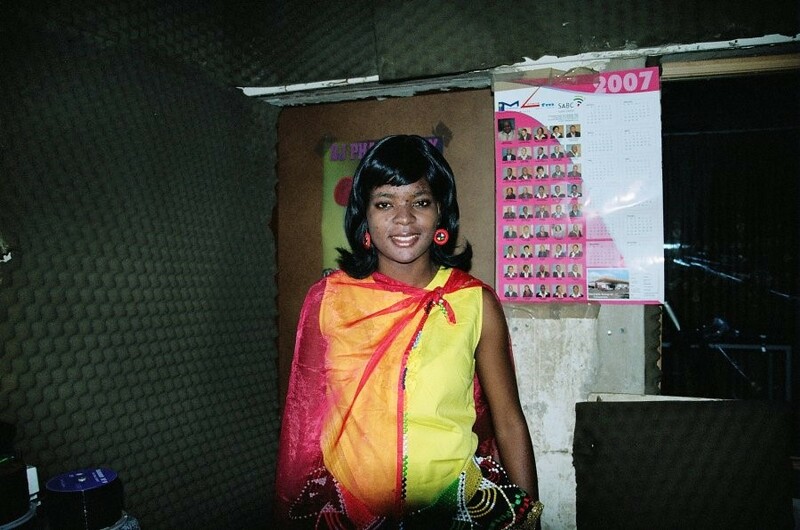 Five years ago, the genre didn’t exist other than in its slower 1980s incarnation: Shangaan disco led by Penny Penny and Peter Teanet that ran at 110 BPM. The joyful, hypnotically sped-up, booty-swivelling and unmistakably African marimba beats coming out of Soweto today are pushing 184 BPM – and they are created for the purpose of making people dance faster than ever before. There are videos of the vigorous weekly street dances on YouTube getting half a million hits, and yet the phenomenon is still hyper-local: 50,000 records are sold per year without the help of digital distribution. The man I’m meeting today revolutionised Shangaan music by upping the heart rate to the point of heart attack and exchanging bass and guitar for marimba and organs on midi keyboard, made even more frenetic by the addition of high-pitched vocal samples – sometimes American ones – and his own voice. Nozinja is a composer and record label owner, and produces the most popular Shangaan electro groups including Tshetsha Boys, who are the dancing clowns in the video below that you should really watch if you want to begin to understand Shangaan. He’s also the nicest man I meet in South Africa – the Shangaan people reportedly possess the sweetest natures of all the South African populations. I’m dropped off by taxi outside a shopping centre in Soweto, and spend 45 minutes waiting for Nozinja. Eventually, a corpulent figure emerges, beaming behind gappy teeth, from his battered BMW. “Sorry!” he glances at the taped up back window, “My kids smashed it last week.” Nozinja, or Dog to his English comrades, drives me to his house in one of the more orderly streets in Soweto, a building made from bricks and mortar and not the corrugated iron that dominates elsewhere. There’s a dusty field to the rear and Nozinja’s actual dog rushes to greet me, meeting outstretched hands with a few ambiguous snaps of the jaw. He takes a seat in his chaotic studio and plays the track he’s working on today. Afterwards, we get back in the car and head to a gathering of several hundred people, who swig beer and watch as around ten groups of dancers, ranging in age from five to over 50, take it in turns to tirelessly swivel their hips at dangerous speed, all day long. Dazed Digital: This month, Honest Jon’s records in the UK are putting out a compilation of Shangaan electro recorded in your studio between 2006 and 2009. Do you know where it is going to be distributed? DD: The song you’re playing to me just now… will you be letting the crowd hear it for the first time today? Nozinja: Yeah. We have this cultural thing every Sunday where I test out new songs, check how the dancers’ movement is, and the vibe when people hear it. Then I can pinpoint mistakes, come back and fix them. DD: When was Shangaan electro invented? DD: Can you remember why, back in 2005, you wanted to make such a fast version of the more traditional Shangaan music? Nozinja: It’s the way they dance. When they dance slowly, they are making you sleep. They are dancing like they don’t have bones. When people are dancing, they will tell you they want something much faster. DD: You mentioned that the women’s skirts that they dance in were worn by your great grandfathers and mothers, but what about Tshetsha Boys’ costumes, the clown masks and boiler suits? Nozinja: We came up with this idea that if you want to break the market, make something that the kids like. Even if they don’t have the money, the parents will go and borrow the money to get what the kids want. When the Tshetsha Boys dance, the kids love it. My dream would be to have a play and take it around the world, because you need to see the dancing as well as hear the music to get the whole experience. DD: What do you think of the other styles of music in the area? Nozinja: The music is very rich. I love tradition, and with some types of music it is like we are copying what other artists from overseas are doing. I can go back to my elders and ask… but with rap music, who am I going to go back and ask? Nobody; so there’s no use for me to go and do it. DD: Do you think you will always stay in Soweto, even if you made a lot of money from this? Nozinja: I like it better where I’m from, Limpopo. With us, it will be better if we can get it overseas with people that can appreciate our music. On this side it’s only about 1.5 million people, and that’s not many. Here, you don’t get gigs. No-one is paying us, we just do it for us, as part of playing the music. It’s how you express yourself and show that you’re proud of being Shangaan. Shangaan Electro: New Wave Dance Music From South Africa will be released by Honest Jon’s on June 28. Thanks to all at Smirnoff for making the trip to Johannesburg and Soweto possible.